Innovative dual-camera smartphone photography system co-engineered with Leica to take image quality to a new level. Did we mention you can become the ultimate selfie expert with mastered selfies? With the P9, it is possible. Authentic Black and White photography with dedicated monochrome sensor. Three Leica classic film modes for more stylish photos, more vivid and true-to-life colors. I am sure as soon as you click some photos with the monochromatic lens of P9, you will fall in love with them. I sure am fan of the same though I only have clicked one photograph so far at the launch event. New bold RED and BLUE P9 colors, perfect for consumers seeking exquisite style. I fell in love with the Red P9 as soon as I first saw the same. World-leading industrial design employing advanced ultra-fine brushed hairlines, sand-blasting and ceramic-effect metal polishing. Sleek, streamlined design with bezel-less screen for better screen-to–body ratio. The dual rear lenses of the P9 fit perfectly so you do not need to worry about having that awkward camera bump. No need to stress about charging your P9 throughout the day because a larger battery capacity gives you longer run-time with fast-charging capabilities. Dual SIM and Single SIM options with Micro-SD memory expansion. This helps us to forget our DSLR at home and just push in some 32/64gb memory cards so as to click 3000/6000 photographs. 3D fingerprint recognition gives you added security with accurate and safer user access. The P9 has concealed stereo speakers (Horizontal mode) and high Fidelity Sound (Vertical mode) for the best quality audio. Two lenses are just the beginning of dual-lens photography. Behind the lens, we have built a brand partnership with Leica who bring over 100 years of photography innovation. Our customers love the photography capabilities that are now available in the palm of their hands and capturing professional photographs has never been easier. The size of both dual cameras are 12-megapixels to help you get professional camera-like photo quality even in low light, all the time. Impressed? 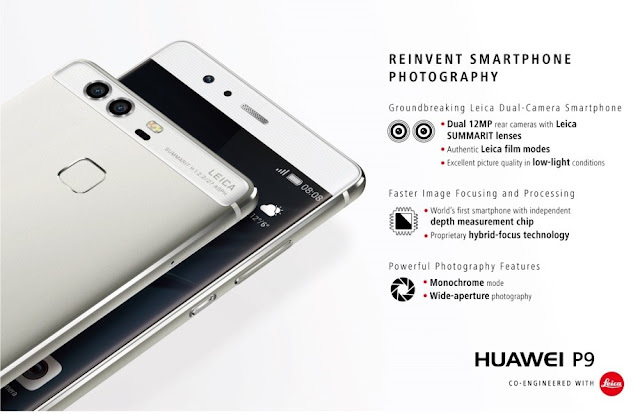 We hope so because the Huawei P9 will exceed your expectations over and over again. Search the hashtags #HuaweiP9, #CapturedonP9 and #OO to find some amazing shots taken by P9 users around the world. 12megapixels was the sensor on Nikon D90 DSLR and it's still used mostly by Wedding photographers so the real test of users will be to learn the art of capturing the candid moments on P9. 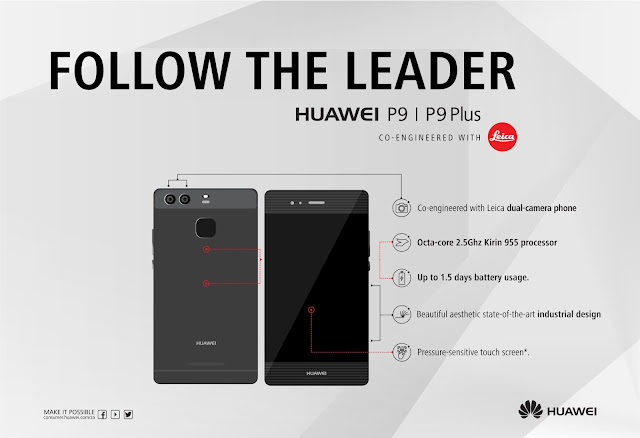 I am looking forward to this phone as my day to day smartphone but there are still if's and but's at the end of Huawei South Africa.